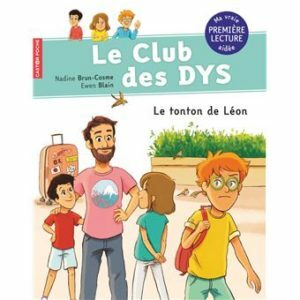 The font was chosen for Le club des DYS, the new children’s book series. 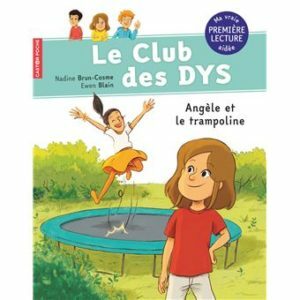 In these days, the French publishing house Flammarion Jeunesse formally unveiled the new book series targeting children aged 6-9 years: Le club des DYS. 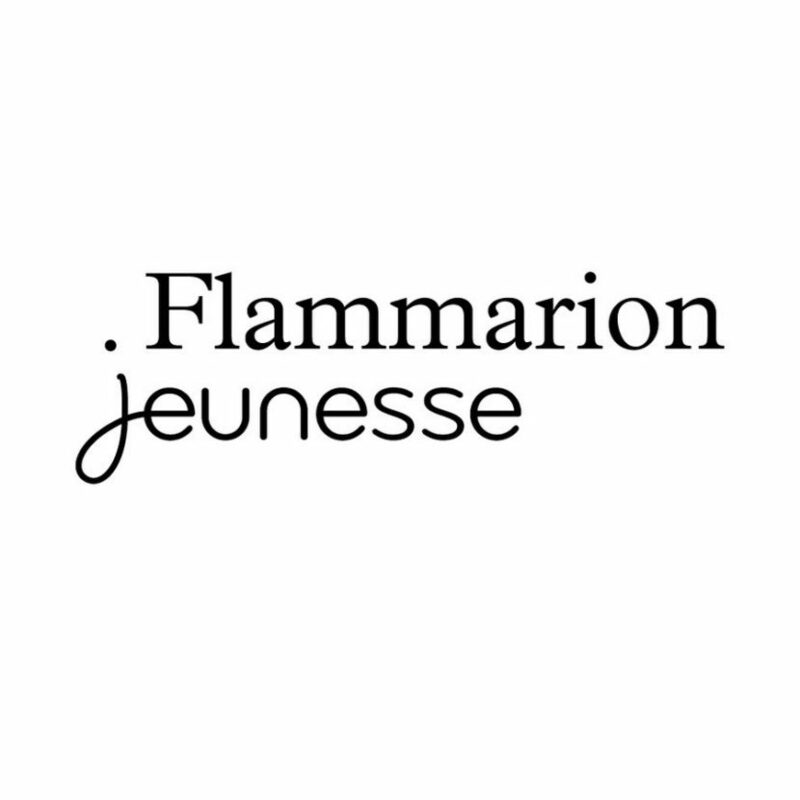 Since 1930 Flammarion Jeunesse has published books and novels for children of all ages. For the new book series it signed a contract with Easyreading Multimedia S.r.l., based in Italy, to use the hybrid and inclusive font of the same name which overcomes reading difficulties, including for dyslexic children, as proven by the successful independent scientific research conducted by Christina Bachmann, clinical psychologist and psychotherapist of the Centro Risorse Clinica Formazione e Intervento in Psicologia of Prato. The research focused on a large and representative sample (533 pupils of the fourth-grade class of primary school, both dyslexics and normal readers). 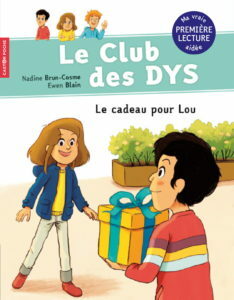 The first four books (Le cadeau pour Lou, Les lunettes de Benoît, Le tonton de Léon, Angèle et le trampoline) bear the name of Nadine Brun-Cosme and are illustrated by Ewen Blain. 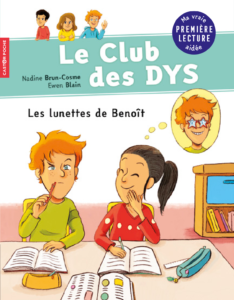 Nadine Brun-Cosme, one of the finalists of the 2018 edition of the Andersen Award as best book for the 0-6 year bracket, with Moi Devant, was born in 1960 and lives in the Paris region. After working in several fields close to children and adolescents, she is now a full-time writer, with a dozen of novels and short stories. Federico Alfonsetti, EasyReading font’s designer and CEO of the Italian company is proud of this contract recently signed: “This is not the first time that we sign a contract with an international publishing house and that we publish books, buy every contract we sign is another piece which adds up to the work done so far by the EasyReading team. In this case, we cover a recently-published book series for children with dyslexia, which, at present, envisages the launch of four volumes on the market, though other volumes are in the pipeline, again using our font. When studying the production of this book series, the Flammarion team came across our font through the Internet, and considered it more reliable than the others on the market, probably thanks to the independent scientific research conducted which proved the validity and usefulness of our font. We are happy to unveil this new collaboration and hope that this is the first step to an increased opening to the international market, not only for the publishing sector”.